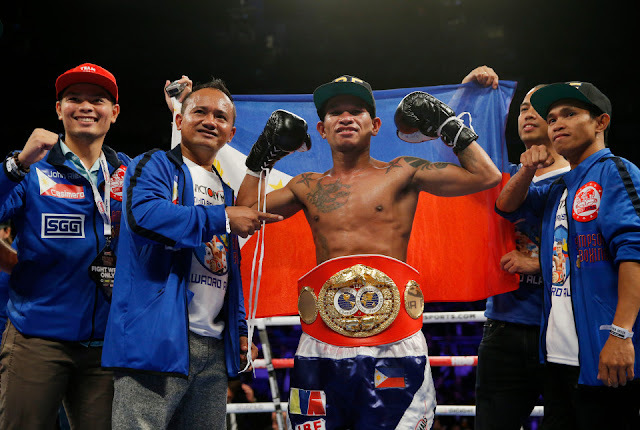 Home Boxing Casimero: "You're Next Chocolatito"
TV Patrol reported today September 12, 2016 that Johnriel Casimero wants the current WBC world super flyweight champion Roman Gonzalez as his next opponent. Casimero said that he want's Chocolatito and he is confident that he can beat the unbeaten Nicaraguan in their fight. Casimero wins his last bout against Charlie Edwards via 10th round TKO in UK, while the Nicaraguan grabbed his 4th division world title after winning the fight via Unanimous Decision against Carlos Cuadras yesterday September 11, 2016 in Super flyweight division. The fight has not yet been discussed by both parties but Casimero and Gonzalez fight is not possible. Casimero should moved up also to super flyweight division where Gonzalez is reigning as a champion.